The following reviews have been obtained from reliable review sources (most of them relating to medicine) and they are available for your perusal on the Internet. Sunshine Perinatology DID NOT edit the content of our reviews, including spelling, in order to respect and show the full exact content of our patients reviews. However, we changed the font, and added quotation on the reviews as a reference to the reviews that our patient so kindly wrote. 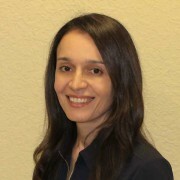 Feel free to see our 5 Star rating reviews in HealthGrade.com, as Dr. Lama Tolaymat is the highest & most rated perinatologists in Florida! “Since the moment my husband and I, met Dr. Tolaymat we felt a positive energy. Dr. Tolaymat has this aura around her that made my us feel at ease. Dr. Tolaymat is very knowledgeable, no wonder why my Obstetrician referred me to her. She explains everything so diligently, taking the time to answer any questions without rush of time. I really recommend Dr. Tolaymat for anyone in need for a high risk Obstetrician. By the way, she also scans her patients and my God what beautiful 3D pictures she was able to get from my baby! “I have been referred by my Ob/Gyn to see Dr. Lama Tolaymat. I was not sure why I needed to see her however, I followed my Ob and made an appointment. As soon as I called the office of Dr. Tolaymat at Sunshine Perinatology her staff was able to scheduled me within a few days. Throughout my first meeting with Dr. Lama Tolaymat she took the time to carefully explain to me why I was referred to her. The manner that Dr. Lama responded to my questions, I knew that she is an expert nonetheless, she explained it very clear and simple way-as I am not a doctor. Then she moved me to another room and she scanned me herself. Dr. Tolaymat took beautiful pictures of my baby which she gave to me and burned a Cd for me to take. I honestly, felt that she spend more time with me than any doctor I have seen in my entire life. She literally spent at least 1 hour and 35 minutes and she never looked like she was in a rush. After, that amazing first impression, I wanted to go back to see her but unfortunately she said that I do not need to see her again. I was sad but she told me that I was fine and that there was no need to come back to her office because I was in the hands of a great Obstetrician and after her scan and analysis she concluded that I did not have to be rescheduled. Of course, she did mentioned that if my Ob wants to schedule me again for any reason that she will be delighted to see me.